I’ve just submitted a paper to a forthcoming “Special Section on Ethics and Privacy” in the Journal of Learning Analytics (JLA). The paper documents the development of Jisc’s Code of Practice for Learning Analytics through its various stages, incorporates the taxonomy of ethical, legal and logistical issues, and includes a model for developing a code of practice which could be used in other areas. As an open journal the JLA suggests that authors publish their papers before or during the submission and review process – this results in the work getting out more quickly and can provide useful feedback for authors. So here’s the paper – and if you have any feedback it would be great to hear from you. Ethical and legal objections to learning analytics are barriers to development of the field, thus potentially denying students the benefits of predictive analytics and adaptive learning. 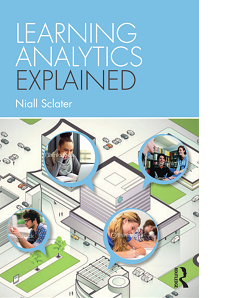 Jisc, a charitable organisation which champions the use of digital technologies in UK education and research, has attempted to address this with the development of a Code of Practice for Learning Analytics. The Code covers the main issues institutions need to address in order to progress ethically and in compliance with the law. This paper outlines the extensive research and consultation activities which have been carried out to produce a document which covers the concerns of institutions and, critically, the students they serve. 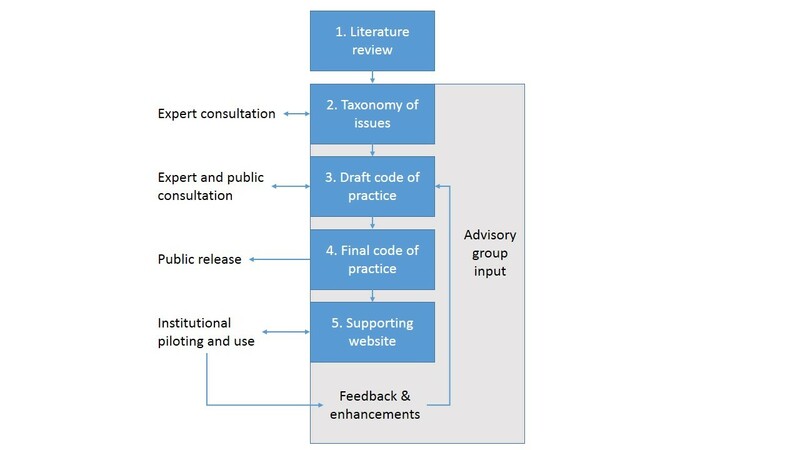 The resulting model for developing a code of practice includes a literature review, setting up appropriate governance structures, developing a taxonomy of the issues, drafting the code, consulting widely with stakeholders, publication, dissemination, and embedding it in institutions.